The 2017 National Election in Papua New Guinea has not failed, as records show that more than 50 percent of the voter population in districts that voted have cast their votes. And an election can only fail if writs are not returned on the date as gazetted. This is from the PNG Electoral Commissioner Patilias Gamato, who was questioned Monday by media to confirm if this election was a failed one, since social media and mainstream had gone viral about issues pertaining to the roll and the late start of polling in some parts of the country. But Gamato insisted that the National Election was on track despite some minor issues in some parts of the country. “The decision to fail elections rests with the Electoral Commissioner, which is me. We can qualify failed election if less than 50 percent of the population hasn’t voted. But if, within an electorate, more than 50 percent has casted their votes, you cannot fail the election,” Gamato said. “Secondly, if there is gross violence within the province disrupting the electoral process, then you can fail the election. Up to now, I’ve not seen any or heard any reports of gross violence and people who went to cast votes, let’s take NCD for example, more than 50 percent (I think 80-90 percent) of the people have cast their votes,” he said. Gamato was also asked if manipulation of election, especially in voting, was also a sign to fail the elections and to confirm if this has happened so far in polling places throughout PNG. “I cannot at this stage, say there is manipulation, although in the past, there has been, at this stage not brought to my attention,” Gamato said. Meanwhile, fifteen regional and open candidates for the National Capital District (NCD) have petitioned the police and Electoral Commission for the removal of city police Chief Ben Turi. *All reserve police or Kerema delta force be removed from providing security at counting venues. The candidates demanded that these issues be addressed immediately before any counting could take place in the capital. Gamato told them that he would seek legal advice before he responds to the team today. Police Commissioner Gari Baki stood by the actions of his metropolitan commander, adding that his action on Sunday was justified. Baki responded to the petition, saying all other issues had been addressed – that reservists would be stood down and CCTV looked into. He said he would not make any decisions on the demand to stand down Turi, as he was employed by the Police Force and not the candidates, who placed their demand for him to be removed. Baki said he was fully aware of what was happening on Sunday night as briefed, and agreed with the move taken by Turi. “I have addressed the other demands but cannot make a decision on the latter. He (Turi) is employed by the police and cannot be removed because of candidates demands as such,” Baki said. 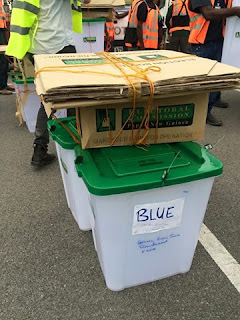 “People need to understand police are on the ground at counting areas, and the ballot papers and boxes are locked safely inside containers until counting commences, then scrutineers are the only ones allowed into the counting venue,” Turi said. “I am more concerned about the welfare of residents then those who are setting up informal markets and those wishing harm on others,” he added. Former metropolitan commander and NCD Regional candidate Andy Bawa said Turi’s actions were unprofessional. NCD was scheduled to count today, but later postponed to tomorrow, regardless of the petition as three Highlands province’s and Manus Province scheduled their counting operation for tomorrow. Gamato said counting was postponed because the counting officials still needed to go for their training, and also allowance for these officials would be sorted out today. He said by Friday this week there would be several provinces counting, with declarations expected during the weekend or next week.